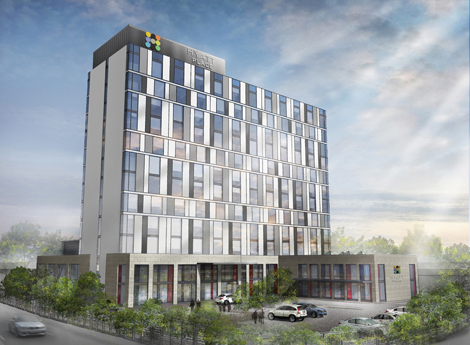 Hyatt Place has debuted in the UK, with the opening of the 170-room Hyatt Place London Heathrow/Hayes. The select-service property is conveniently located just 16km from Heathrow airport, meaning guests can connect to central London within 20 minutes via the Heathrow Express, or visit historic destinations of Oxford and Windsor with a short drive on the M4 motorway. All guestrooms come with the brand’s signature Hyatt Grand Bed and include a media centre with a 42-inch flat-panel TV and sofa-sleeper. Complimentary wifi is available throughout the property. F&B options consist of the all-day dining Gallery Café, the grab-and-go Gallery Market (open 24/7), and the Coffee to Cocktails Bar. Other facilities include the Stay Fit Gym and over 191 sqm of flexible meeting spaces. “The hotel features the brand’s intuitive design, casual atmosphere, and practical amenities, such as free wifi and 24-hour food offerings, and our multitasking guests can easily accomplish what they need to while staying at Hyatt Place London Heathrow/Hayes,” said Sarru Swanni, general manager, Hyatt Place London Heathrow/Hayes.